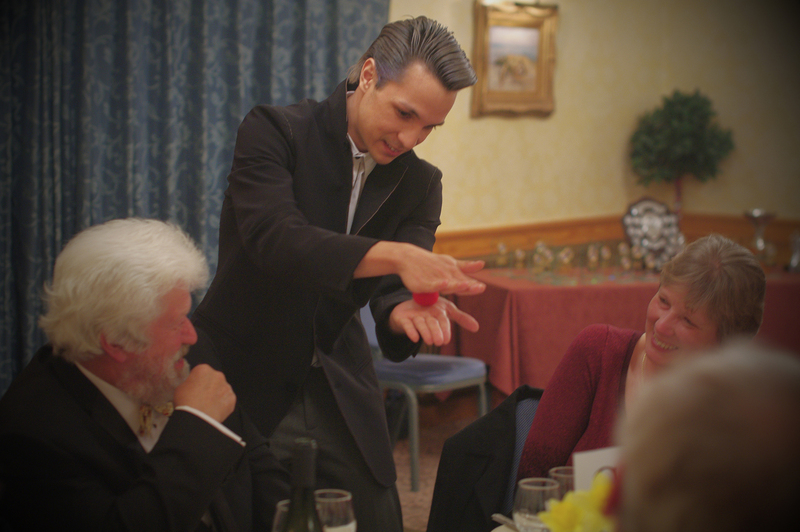 Creative and talented, David has performed as a magician at parties, weddings, dinner balls, launches, in restaurants, stately homes, theatres and corporate venues across the country. 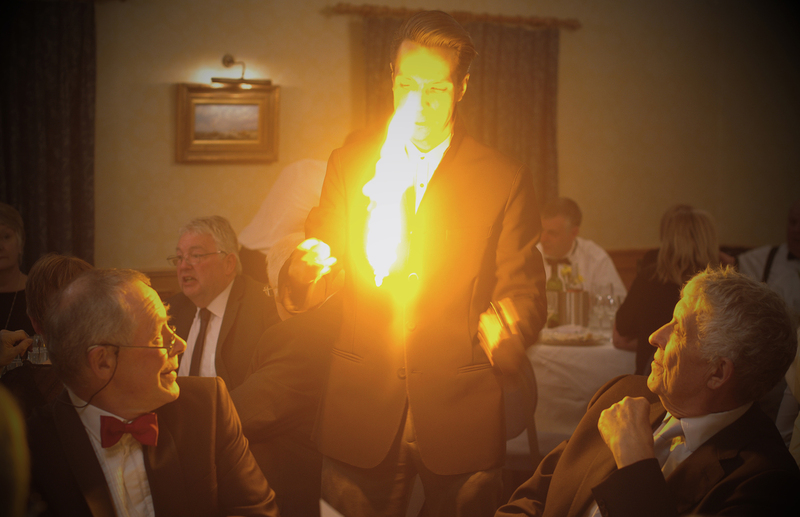 Whatever your event, David can add that magical sparkle to ensure your guests go home smiling. He’s played with magic, illusion, puzzles and curiosities since childhood. So some people never grow up, eh? 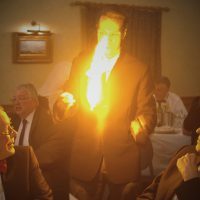 What’s more, David is an Associate Member of the Inner Magic Circle and his lecture on magic received the Hoffmann Memorial Award for research into the theory and practice of magic. So he knows his stuff. No event is the same so David will work with you to produce a custom plan of how to enhance your event and ensure guests receive the best experience. For this reason, prices are based on requirements but you can rest assured that the rates will be competitive. To find out more, get in touch via bookings@davidfung.co.uk with details of your event and he’ll get back to you. Yes! 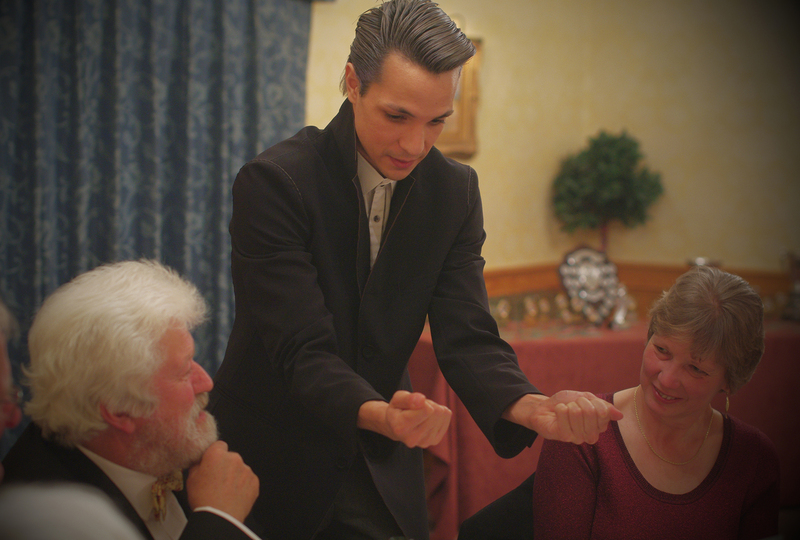 David has been a member of The Magic Circle for over ten years and also received promotion to Associate of The Inner Magic Circle. 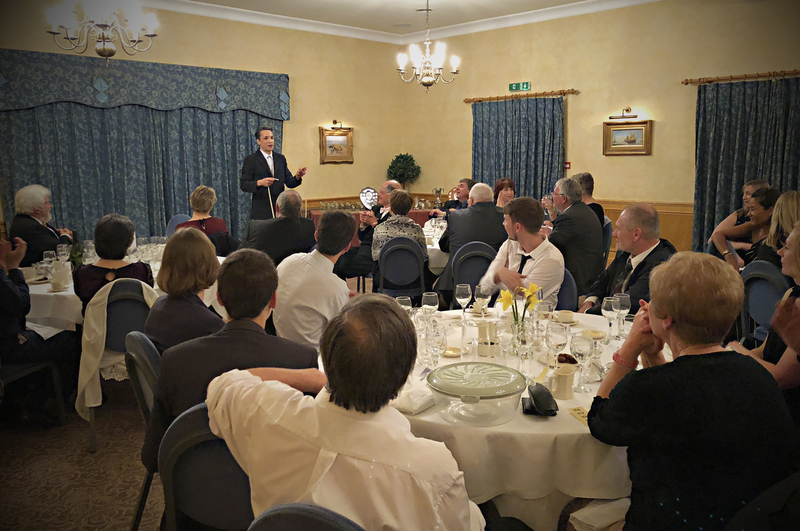 In addition, in 2013 he served on the Council of The Magic Circle, representing and supporting other members, and also gave a lecture on the theory and performance of magic. Can you teach me how to do magic? The mystery is a huge part of the performance and without it, it’s just not as much fun to watch! 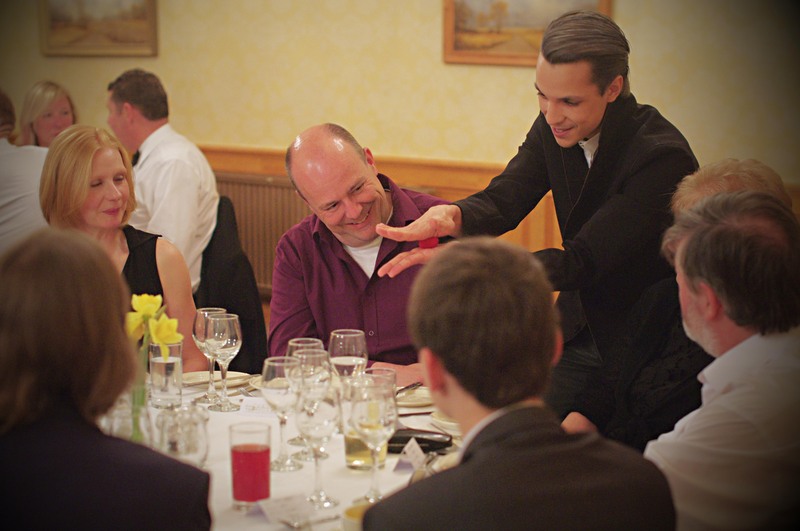 However, for students of magic and those seriously wishing to learn, please get in touch for lessons and advice. David is currently based in Norwich, Norfolk but can travel to wherever you and your guests will be… London, York, Edinburgh or Miami! Can you make me reappear in Hawaii / make me 3 inches taller / make money appear? 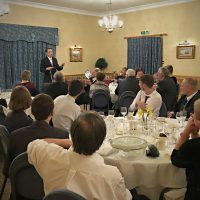 David loves a creative challenge and will do his best to accomodate special requests which will really help your event shine. Be it a new product launch, themed party or a special bit of wedding magic, send across your ideas and details and we’ll work together to create that special something your guests will love and remember. Do you have any special requirements to perform? The more details you can provide about your event, the better we can prepare and work together to make the event a success. 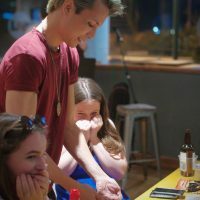 So for large audiences, this may mean supplying a microphone and dedicated performing area (preferably slightly raised) but for close-up magic, David can perform walkaround (or ‘mix and mingle’) or at tables, depending on requirements. The best thing to do is get in touch so that we can discuss exactly what your event needs. Are you available on the 19th of April 2020 / next Thursday / this afternoon? Certain periods may be extremely busy but send a message with your dates and requirements, and there’s always a chance a date may become available. You’ll always get a quick response, and if it’s a last-minute enquiry, we’ll do our best to help out! Martin (and everyone else) was completely flummoxed by the three of clubs card rising out of the box! David had a large crowd memorised for all of his set at the Maddermarket Theatre Bar! 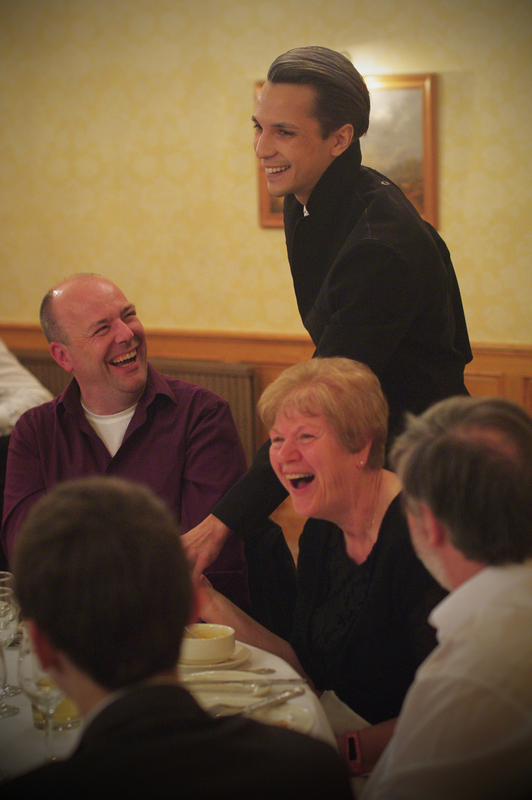 Amazing magic performed with great humour won our audience over instantly! 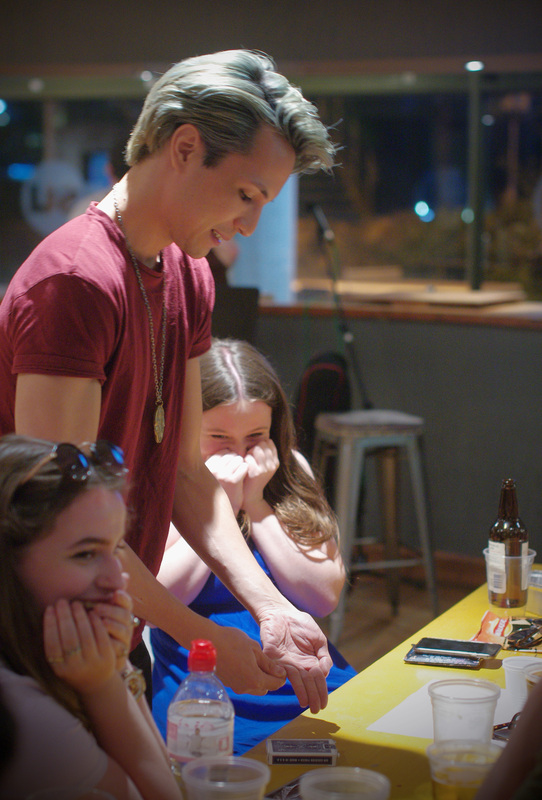 David's close up magic was amazing! When I first saw him he had children captivated and even adults exclaimed and asked how he was doing it?! David simply replied with "It's all magic." Wonderful. Fantastic magic, adults and children loved it. My 6 year old grandaughter was mesmerised as was grandad. Fabulous.